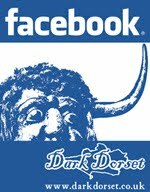 Dark Dorset Online Scrapbook is an archive of current and past events relating to local history, folklore and mysteries that can be discovered in the English county of Dorset. "Cecil Hepworth was one of Britain’s first great movie producers, and a pioneer of the blockbuster. When he decided to film Shakespeare’s Hamlet in 1913, it had already been done no less than ten times before. But all those early efforts had been low-budget shorts, and Hepworth’s production was going to blow them out of the water. The world had never seen anything like his Hamlet! With a budget of £10,000, it wasn’t just the biggest Hamlet movie, or the biggest Shakespeare movie—it was the biggest movie of any kind filmed in Britain up to that point! The action of Hamlet takes place in and around Elsinore Castle on the coast of Denmark. For his version, Cecil Hepworth chose to film on location in Dorset... at Lulworth Cove, to be precise. Since there wasn’t a convenient Danish castle in the area, he had a full-scale mock-up built on the clifftop at Dungy Head, just west of Lulworth Cove looking towards Durdle Door. This can clearly be seen in a short clip on YouTube below. 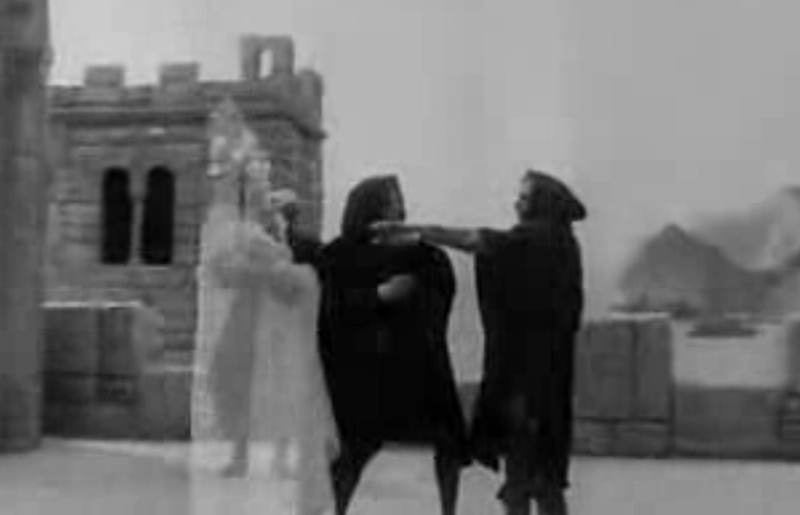 The clip features one of the most striking scenes in the play, when Hamlet encounters the ghost of his recently deceased father (the ghost is done rather well using a double exposure). From the point of view of the paranormal, the ghost in Hamlet is especially interesting. There are other ghosts in Shakespeare’s plays (e.g. Macbeth and Richard III), but in those cases the ghosts are only witnessed by their murderers, so can be dismissed as subjective phenomena (just a way of dramatizing a guilty conscience). On the other hand, there can be no doubt the ghost in Hamlet is meant to be a real ghost! It gives Hamlet useful information about his father’s murder, that he couldn’t have obtained by non-supernatural means. And the ghost is seen by multiple witnesses, sometimes when Hamlet himself isn’t even present. Following the success of Hamlet, Cecil Hepworth used Lulworth Cove for several other productions, and the tradition of filming there has continued ever since. Worthy of mention in the “Dark Dorset” context are the early Hammer Horror film "Four Sided Triangle" (1953), and the 1989 Doctor Who serial “The Curse of Fenric”. This is one of many Doctor Who stories filmed on location in Dorset, and is notable for its Viking legends and vampires!" Winter Issue of 'Merry Meet' out now!